Denise Jess began her tenure as CEO/Executive Director of the Wisconsin Council of the Blind & Visually Impaired in 2016. Prior to this role, she served on the Council’s Board of Directors. Denise’s more than three decades in advocacy, leadership development, education of all ages, and small business ownership, along with being legally blind since birth, combine to provide the unique experience and perspective necessary for advancing the Council’s vital mission. Denise places a high value on relationship-building, strategic and innovative problem-solving and leading by example. 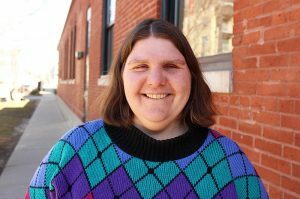 She serves on the Community Shares of Wisconsin’s executive committee and board, the Disability Vote Coalition, Dignity at Work Coalition and the Coalition for Responsible and Equitable Transportation. 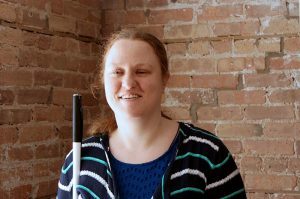 Denise represents the Council on the VisionServe Alliance, a national consortium of organizations serving blind and visually impaired communities. Denise treasures time with her spouse of thirty years, her two young adult daughters, extended family and friends. 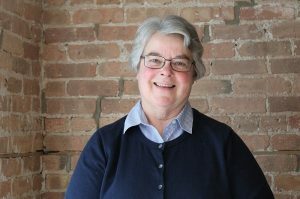 Her life-long love of learning often leads her to investigate new recipes, especially using locally sourced and sustainable ingredients and to discover new knitting patterns and techniques and home do-it-yourself projects. She loves to kayak, hike and snowshoe throughout our glorious state of Wisconsin, especially on her native Washington Island. Sue handles the financial accounting for the Council. She also manages payroll and employee benefits including insurance and retirement plans. 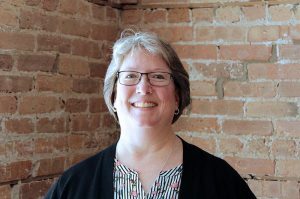 Sue joined the Council in October 2012 after serving as the Director of the Office of Credit Unions for the State of Wisconsin under Governor Doyle. Prior to that, she was president of the WEA Credit Union for 25 years. Sue holds a Bachelor of Science degree from UW-La Crosse and an MBA-Finance from Edgewood College. She and her husband live on a small farm in southern Dane County where she gardens, keeps bees and has a couple of old horses. Mitch provides project management and administrative support at the Council. He coordinates event planning and manages the IT system. Mitch’s work varies from updating the store website to covering the front desk, and he works with volunteers and staff to ensure publications get out the door. Mitch joined the Council in January 2019. 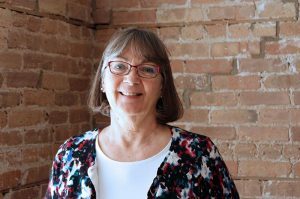 Before working at the Council, Mitch worked for a variety of nonprofit organizations and campaigns including Community Living Connections, Focus on Energy, and RePower Madison. Mitch attended the University of Wisconsin-Madison where he earned a Bachelor of Science degree in Biochemistry. When he’s not teaching his daughter how to build with Legos, his hobbies including running, gardening, and playing card games with his wife and friends. Heather Buggs works at the front desk, greeting visitors as they come through the door. She helps people find resources, processes product orders and fulfills white cane requests. She also assists customers in the Sharper Vision Store and creates the audio version of the Council’s quarterly newsletter. Heather joined the Council in August 2007. Through background knowledge, her life with a visual impairment, and working at the Council, she has gained experience for her position. In her free time, she enjoys spending time with her children and family, reading children’s books, and trying new recipes. 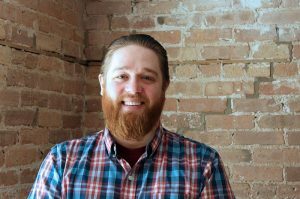 Adam Grassnickle helps coordinate events and projects, including IT, assisting customers in the Sharper Vision Store, and staffing the front desk. Adam joined the Council in March 2017. Before the Council, Adam was busy attending UW-Whitewater. 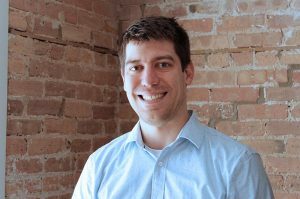 Adam has a bachelor’s degree from UW-Whitewater where he majored in history and political science with a minor in German. In his free time Adam enjoys being involved in service and political organizations, being outdoors and learning new things with his friends. Judith Rasmussen refers callers to staff members and community resources, gives educational presentations at schools and produces brailled documents for staff, board members and quarterly newsletter subscribers. She joined the Council in August 2008. She also is a licensed massage therapist and works at her own business that she started in 1999. Judith has a Bachelor of Arts degrees in French and Spanish and two master’s degrees, one in French and the other in social work. Her hobbies include: reading, knitting, cooking, exercising, growing outdoor plants in the summer and growing house plants year-round. Hannah manages communications, public relations, graphic design and marketing activities for the Council. This includes monthly e-newsletters, quarterly newsletters, social media, website and a variety of other media. 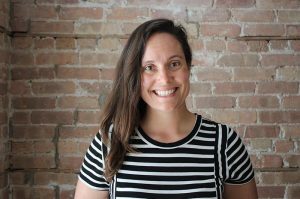 Hannah Wente joined the Council in July 2018. Over the past decade she has held marketing communications positions at a variety of organizations including the American Parkinson Disease Association, SSM Health, and REAP Food Group. She studied health communication at the University of Sydney in Australia and received her Master of Public Health from the University of Wisconsin-Madison. In her free time, she enjoys playing ultimate frisbee, paddleboarding and practicing yoga. Katherine Corbett assists in content planning and conducts interviews for the Council’s publications. She writes and edits newsletter content, fund development pieces and promotional materials for the Council. Katherine joined the Council in January 2017 as Publications Writer, and was promoted to Communications Coordinator in September 2017. Prior to the Council, Katherine wrote for a variety of organizations including UW Health and the University of Chicago’s Yerkes Observatory. She holds a Bachelor of Science in journalism from the University of Wisconsin – Whitewater and a Certificate in Human Resources from Madison College. In her free time, Katherine enjoys baking, reading young adult novels, and going on road trips with her husband. Lori builds relationships with clients, customers and donors to ensure the Council’s work continues, thanks to their generous financial support. For Lori, a highlight of fund development work is hearing the stories of why people give and their delight when they learn of the lives they changed. Lori joined the Council in Summer 2013. She has a Bachelor of Science in business administration and earned her Certified Fund Raising Executive (CFRE) credential in 2011. 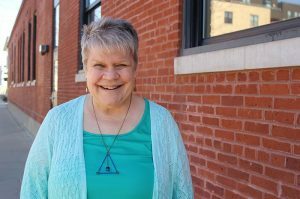 When not at work, she enjoys spending time with her adult children, gardening, biking, and visiting family throughout the U.S. She and husband Mark are involved with Young Life of Mount Horeb. Ray maintains the Council’s donor database. He produces donor financial reports to support the activities of the Fund Development Director. Ray is also responsible for generating the mailing lists for Council communications. Ray joined the Council in February 2007 as a volunteer Program Assistant, and in November 2007 was promoted to Database Manager. Before the Council, Ray worked in the industrial control products industry. He holds a Bachelor of Science in industrial management, with a minor in electrical engineering technology from Milwaukee School of Engineering. He also holds an associate degree in computer information systems from Piedmont Virginia Community College. 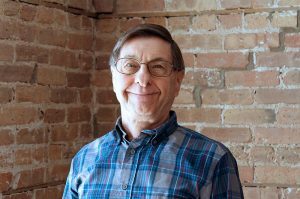 In his spare time, Ray enjoys movies, music, outdoor activities, day trips, and is a life-long amateur radio operator. Amy provides low vision evaluations at the Council. She works with clients to find ways to maximize their remaining vision, using color, contrast, lighting and magnification. She leads staff in providing hands-on assistance, resources and information to vision services clients. Amy joined the Council in January 2015. Before the Council, Amy worked for the Veterans Administration with veterans who have visual impairments. 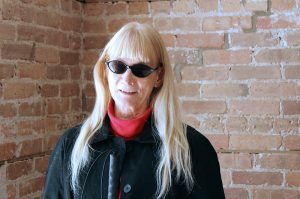 She spent 13 years at the Edward Hines Jr. VA Hospital Blind Center in Hines, IL, and 6 years at the William S. Middleton VA Hospital Low Vision Clinic in Madison, WI. 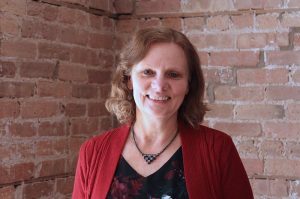 She holds a Master of Science in education, with an emphasis in Rehabilitation Teaching of the Adult Blind, from Northern Illinois University, and a Bachelor of Health Science in speech pathology from Governors State University in Illinois. In her free time, Amy enjoys reading, working on cross-stitch and craft projects, and spending time with her family. Jim conducts technology assessments and provides training on a wide array of tools, such as screen readers, screen magnification software, smart phones and refreshable braille displays. Being blind himself, Jim utilizes much of this technology on a daily basis. He is passionate about helping individuals with disabilities learn to use technology to accomplish tasks that seem impossible. Jim joined the Council in October 2017. 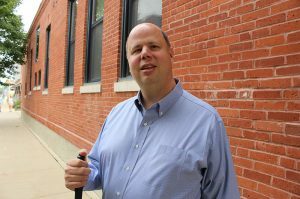 Prior to this position, he spent ten years as the Director of Assistive Technology for the Perkins School for the Blind in Watertown, Massachusetts. He has also worked for the American Foundation for the Blind and Optelec US. Jim grew up in Southern Wisconsin and has a Bachelor of Science in computer information systems from St. Norbert College in De Pere, Wisconsin. When not at work, Jim can be found watching sports, cooking on the grill or exploring new and interesting brewpubs with his wife. Kris Johannsen manages the Council’s in-house Sharper Vision store and inventory. Kris is responsible for the timely shipment of all of our products and handles any of our customer’s orders, questions or concerns. Kris joined the Council in January 2019 as the Store Manager and will continue making strides towards improving the Council’s store. Before the Council, Kris had various administrative and management roles. Most recently he worked with adults and children with autism through the art of film and digital media. He holds a Bachelor of Science in Communication through Colorado State University. In his free time, Kris enjoys attending events in the Madison community, concerts, football, gardening, hiking, and travelling with his fiancé. Jean Kalscheur coordinates speakers for community presentations and speaks on a variety of topics related to changing vision and vision rehabilitation services. Jean has worked for the Council for 10 years. She is a vision rehabilitation teacher and was the Director of Education and Vision Services for the past four years. Prior to working at the Council, Jean was an associate professor in Eastern Kentucky University’s Occupational Therapy Program. Jean holds degrees in occupational therapy from the University of Wisconsin-Madison and Washington University in St. Louis. She enjoys reading, beading and needlecrafts. Brent Perzentka meets with individuals who have vision loss, assessing needs and teaching them new methods and/or providing them with assistive devices to enable them to accomplish tasks. Brent joined the Council in 2003, and has worked in different capacities within the organization. 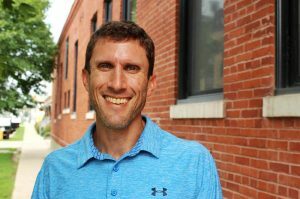 Most currently he has served as the Sharper Vision Store Manager for the past 10 years, before becoming a certified vision rehabilitation therapist. 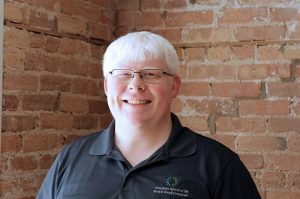 Brent holds a Bachelor of Arts degree in Liberal Studies from the University of Wisconsin-Whitewater, associate degree from Madison College, and a master’s degree in vision rehabilitation therapy from Western Michigan. Brent is married to his beautiful wife, Blair, and together they have one spirited daughter, Brooke. When Brent can get away from his schoolwork and family obligations, he enjoys playing basketball and baseball competitively in the Madison area. The Council’s board consists of people who are blind or visually impaired (BVI) with three seats available for sighted allies. Board members are well-educated, involved in local communities and actively employed. Each board member serves as an advocate for the BVI community in their geographical area. If you are having difficulty with this site, email Jim Denham. Photography by John Urban & DesignCraft Advertising.